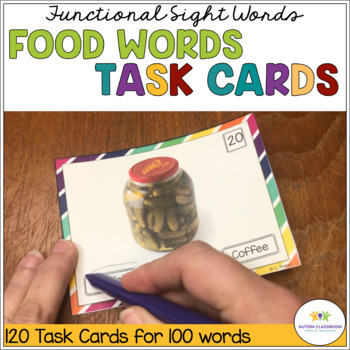 This is a bundle of 2 sets of task cards (190 cards) multiple choice task cards focused on functional sight words. They are all multiple choice and are an excellent resource for life skills classrooms using a functional curriculum. 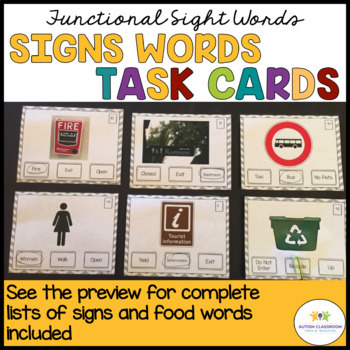 It includes 60 sight words for use with environmental signs (environmental print) and 120 sight words related to foods. Download the preview for lists of the words included. 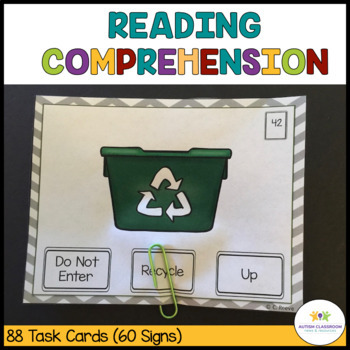 For more ideas for working with students with autism, check out my blog at Autism Classroom Resources . 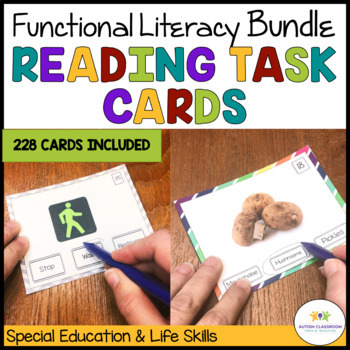 Functional Reading Task Cards Bundle is copyrighted by Christine Reeve 2015 for single classroom use only. Please send others interested back to this site to purchase their own copy. For volume discounts for districts, please email me at autismclassroomnews@gmail.com. Thank you for purchasing!